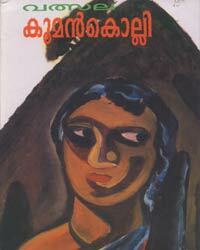 This novel is the last one of the novel trio, written by the author after the first two novels, Nellu, and Agneyam. The place of the canvass, some main characters lives through the three books. They narrate the continuous change that occurs. The socio-political colour of the time is characteristic in the treatment of the theme. The importance of environment has got a mentionable base for the life depicted. The critic, K.E.N. Kunhahammed writes, “The time, when the forest was dark, the river Papanasini was black with, wilderness, and the sky was softly humid, the valley of Kooman Kolli was beautiful. The pretty skin of Nature is blistered. The scream of the valley rises from Vatsala’s novel. Touching the lives of the tribal life, printed with the blood of exploitation, their cry echoes. When the story of a human society unfurls the destruction of a civilization, the novel creates extreme uneasiness. Thus the tension between the Nature and Man is revealed in itself. own, their behaviour, exclusiveness and the totality of the work. Creates a distinct novel.”P.Udayabhanu writes in the Mathrubhumi Daily.